Sure, why not take a boring old food and water bowl and jazz it up a bit. 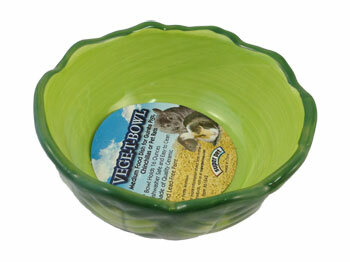 This 'cabbage' shaped bowl is a nice 6 inches in diameter and holds 16 ounces of food or water. Psssst...it is also dishwasher safe and easy to clean!